Andrea Bolzoni on guitar, Daniele Frati on drums, Dario Miranda on bass (remember Dario Miranda on Telegraph - CD LR 611?). Astonishing sounds from the basement. 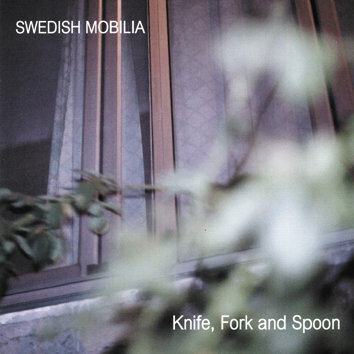 Swedish Mobilia: "Knife, fork and spoon are twangling in the kitchen. Silence is knocking on the door. Swedish Mobilia's music is totally improvised 'cause Music is about listening." The genre of these three Italians has no name yet, for the music moves between rock, jazz, classical and experimental music peppered by electronics. In latin mobilia means "objects in movements." Movement is the essence of their music.